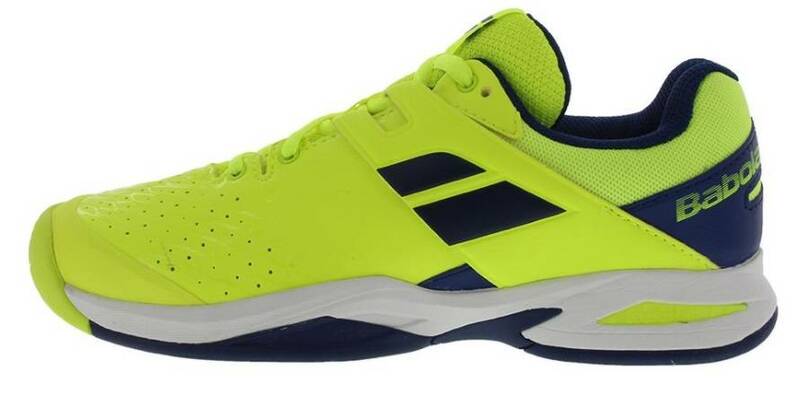 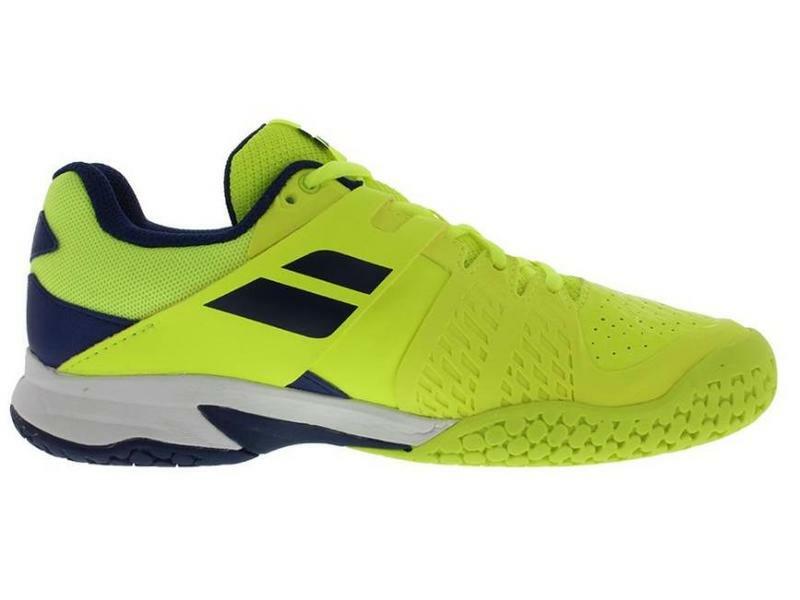 The Propulse Fury All Court junior shoe has exceptional foot support, grip and durability for young players of all levels. 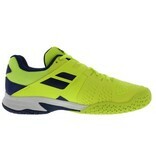 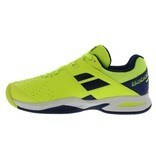 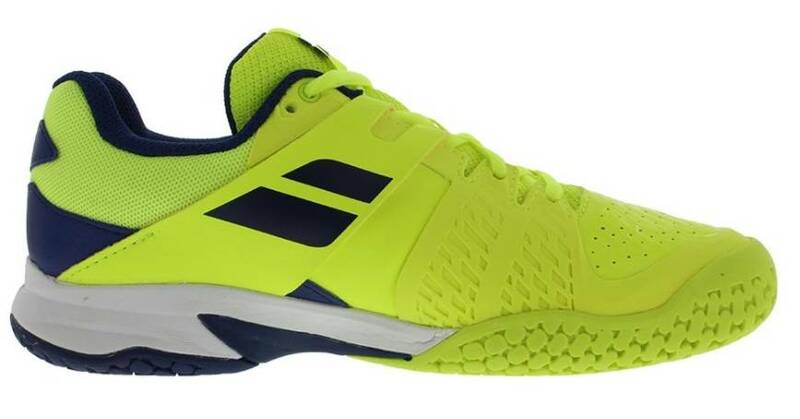 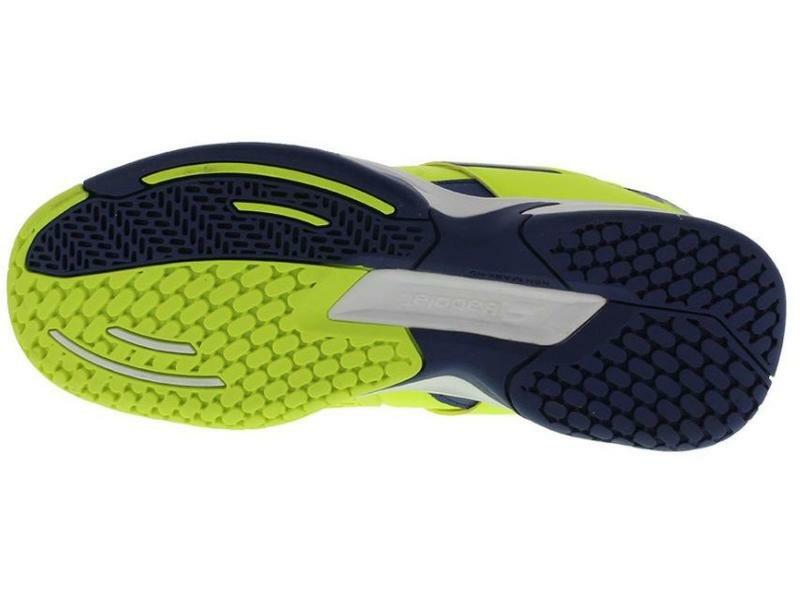 The technology, support and resistance of the Propulse Fury in a Jr. shoe. 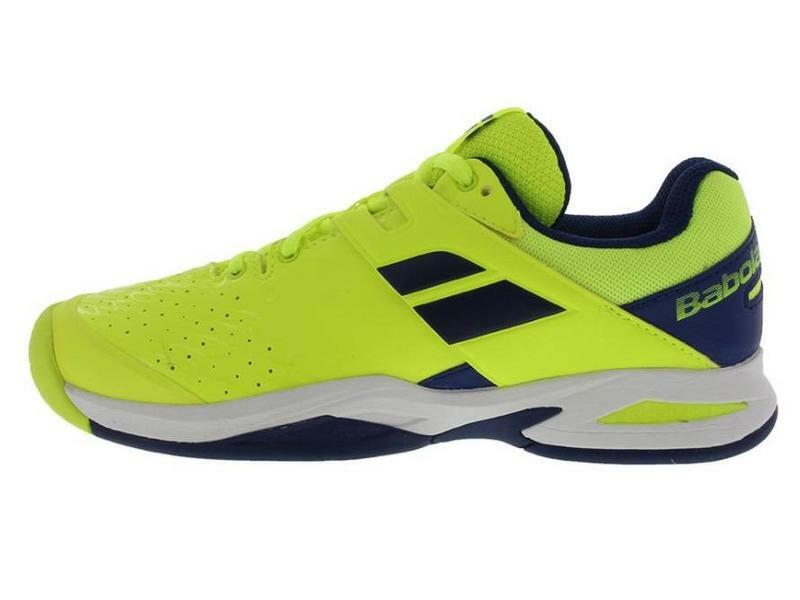 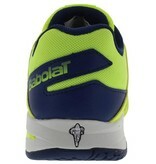 The Babolat Junior Propulse Fury All Court in yellow and estate blue has great support thanks to the patented Powerbelt. 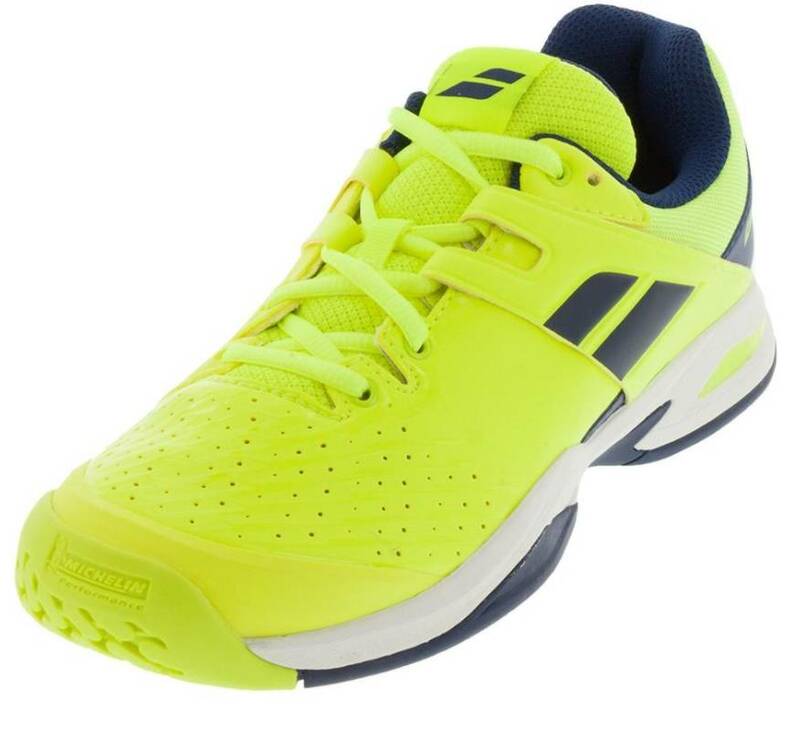 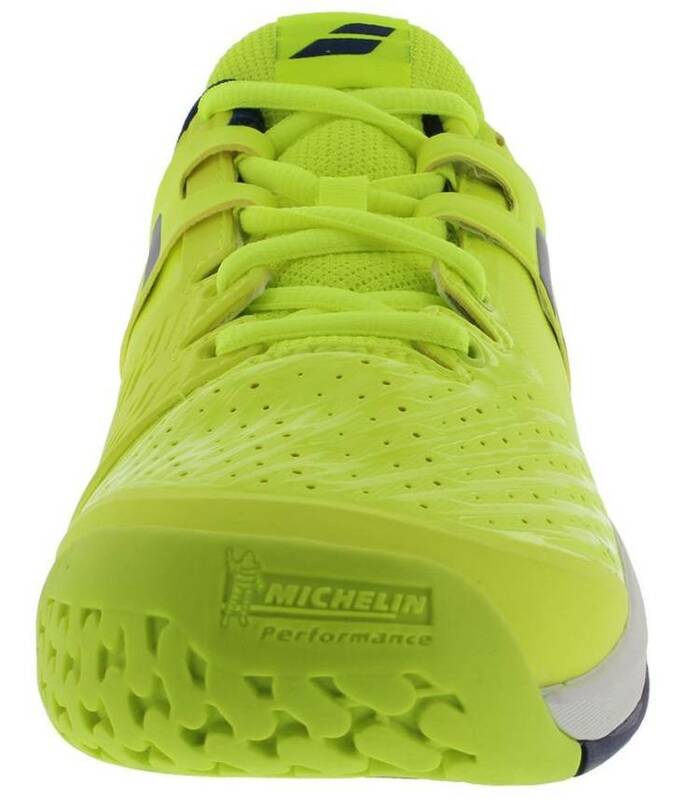 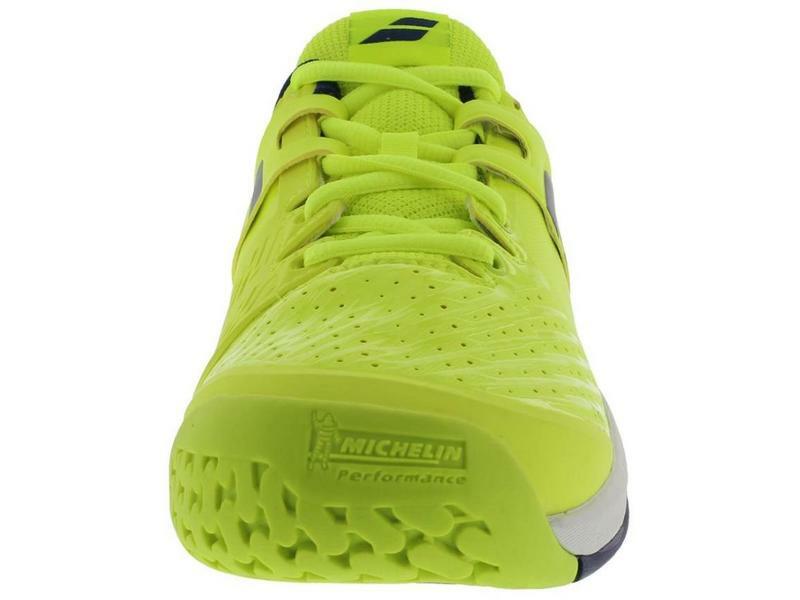 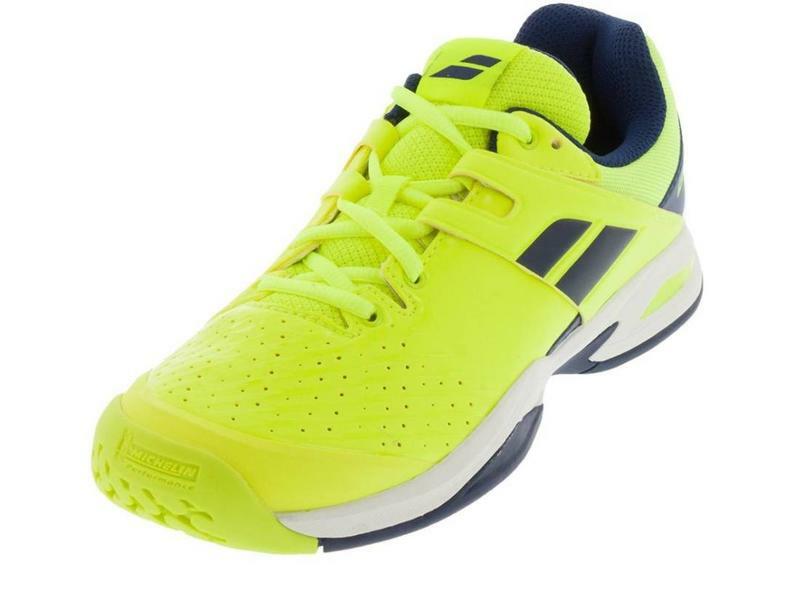 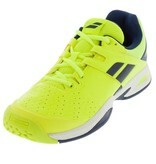 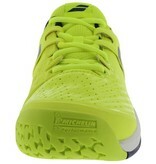 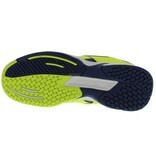 The Cell Shield and Michelin Technology adds extra durability to keep you on the tennis court longer. 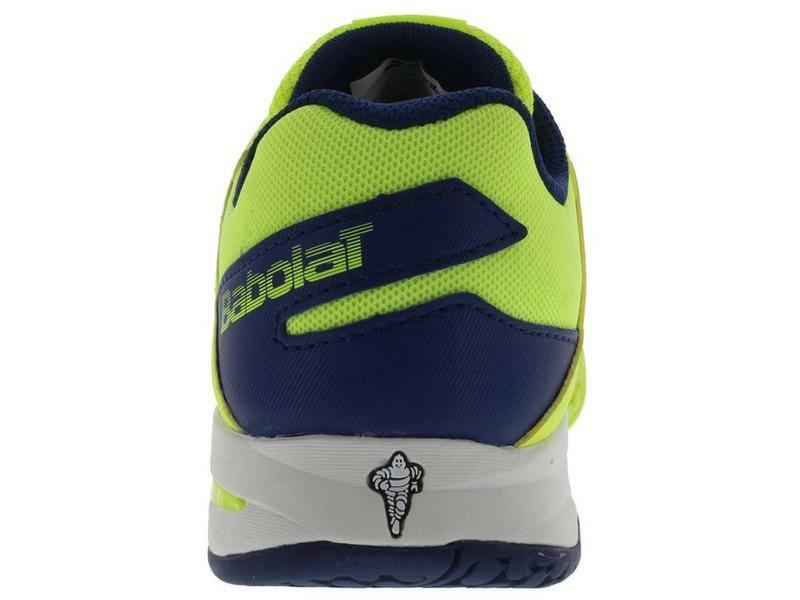 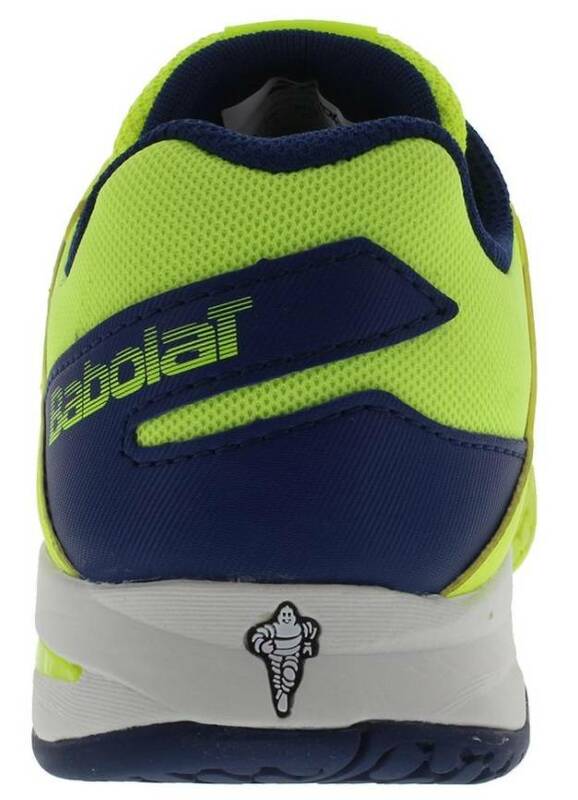 Designed and patented by Babolat, Active Flexion technology focuses on key pressure points, causing you to have a quicker response time on the court.